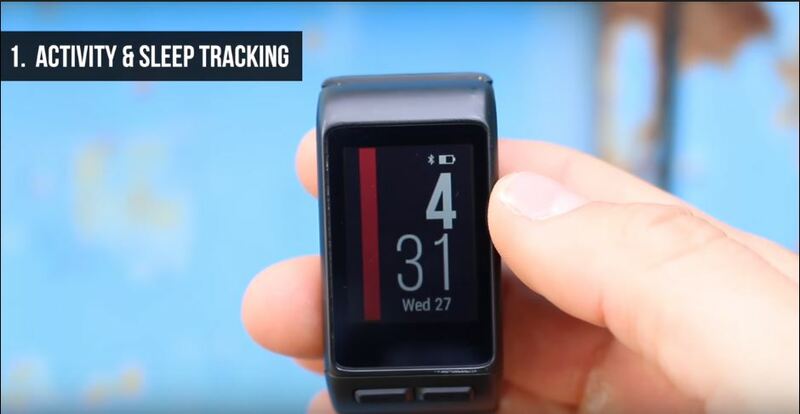 Hi” dears, first of all, the Garmin vivoactive HR, is a gps sport watch activity and sleep tracker, All right so the Garmin vivoactive HR there is a lot to talk about with this device, so let’s first take on design, and then we can talk about what it actually does, and how it works. If you want to learn more about its companion app called Garmin Connect. In terms of design, the vivoactive HR has an interesting yet oddly familiar look to it. it reminds me of a smaller more comfortable version of the Fitbit surge, or a slightly larger version of the Garmin vivoactive HR, it’s really nice, and it’s comfortable, but there’s no way around the fact that it definitely looks like, a sport watch at all times. Now it does have traditional watch style bands that are removable so you can get different colors, and whatnot. But again, it doesn’t have that style element of the Fenix 3. And it won’t be as durable either, because it’s mostly plastic beyond that however the hardware side is pretty much on point. It’s got Garmin’s Chroma display, that is beautiful and it’s large in full color, and backlit, and sunlight-readable which is awesome and then it’s also a touchscreen, and I do believe it’s better, and more responsive than the touchscreen we saw on the first generation vivoactive. The lens on top of the display, is mineral crystal, so eventually you’re going to get smaller scratches on that in the bezel. But I think it will be mostly cosmetic stuff. So aside from using the touch screen, you will also be using two physical buttons. Basically a back button that also serves as a way to lock the device, and turn it off, And then a start button which is also how you enter settings, and start a workout. Now if you turn the watch over, there’s a built-in risk based heart rate sensor, that is running both 24/7, and during workouts. though if you want you can also pair with it an external aunt plus heart rate sensor, the wrist heart rate sensor is the same one we saw on a bunch of other Garmin devices, it’s good for endurance sports like running, and certain interval training workouts, but anything with a lot of muscle flexion in your arm, it won’t be good for so things like weight training, and CrossFit. you’ll probably want that external heart rate sensor, also that built-in heart rate monitor will be switched off during swimming, workouts, and unfortunately the vivoactive HR will not work with the HRM swim or HRM tri heart rate monitors for your heart rate during swimming, so that’s not going to be an option with that. I really like having the built-in sensor I think it’s better gauges your activity level throughout the day, and you can see more accurate calories burn numbers, so it’s nice to have that 24/7 heart rate sensor. Battery life of Garmin vivoactive HR. you there in terms of sensors it does have GPS, and GLONASS which is the Russian form of GPS so you’re double covered, but the more sensors you have running, the more you’re going to tax that battery. 1-it’s your activity and sleep tracker, so it has all of the features of your more advanced fitness tracker. you do get a daily steps goal, and Garmin automatically adjust that goal based on your recent activity level, so that goal remains attainable to you, and keeps you motivated it’s pretty cool, and then you do get daily alarms both vibration, and audible ones, and move reminders in a move bar. 2-the vivoactive HR is also a GPS sport watch that is in constant beast mode and by that I mean, it supports a lot of activities you’ve got running indoor, and out cycling indoor, and out pool swimming not open water swimming unfortunately. you also have golf Garmin has over 40,000 courses that you can choose from, and then you have water sports, such as paddle boarding, and rowing and indoor rowing. Snow sports such as skiing, and snowboarding. And then you can also create your own sport profiles as well. It tracks all of the metrics you’d expect basically anything you’d associate with that sport. 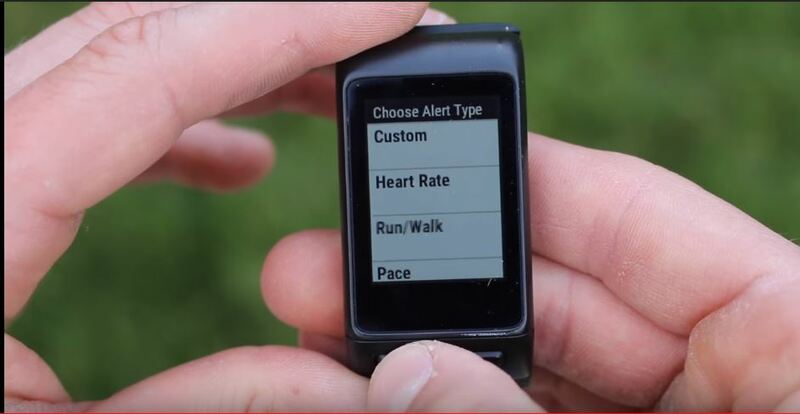 it works with external sensors such as heart rate monitors, and speed and cadence sensors. And if you’re looking for a GPS watch or a running water, or whatever, the vivoactive pretty much has you covered. 3-It’s a Smart-Watch that is actually. Very helpful, it relays all of your phone notifications, so as soon as you get an alert, it’s going to show up right on your wrist. assuming you’re within 30 feet of your phone, but then you also have a little notifications widget to check all of your older alerts, and that’s anything that shows up in your phone, not just text messages, could be a Facebook message whatever. In addition to that it shows the weather and your calendar, and then has music controls. Though the iOS ones are not quite perfect it’s only stored music on iOS, and then you can also control the Garmin VirB action camera, which is a huge plus if you ask me. It does have access to Garmin Connect. IQ for other apps, and widgets and more custom watch faces. For me the Smart Watch features, or basically exactly what I wanted enough, so that it was helpful but not too much. Number one: I wish we had open water swimming with it that would be nice. Number two: HRM swim and HRM try support heartrate while you’re swimming would be cool. Number three: internal storage for Music, if it actually had the music stored on the device, so you didn’t need to bring your phone to control your music number four, I wish you could edit the support profiles in the data screens, for those four profiles within Garmin connect, as opposed to only on the watch. Number five: it’d be great to get a tougher more resistant display on it. number six: training features: I wish It had some of the training features, that you see on the forerunners, and the higher end GPS watches, that would be like vo2 max, and certain like training components that you just don’t have on the vivoactive, but not with standing that stuff. 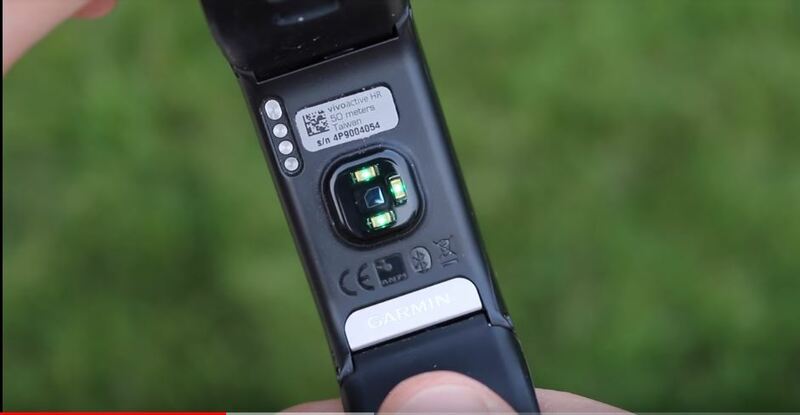 I was largely very happy with the Garmin vivoactive HR, and I think it’s going to be for sure, the right device for a lot of people its small light weight compact and a well-built device, that has way more features than you’d expect. And it’s all executed pretty darn well. So that is the vivoactive HR. 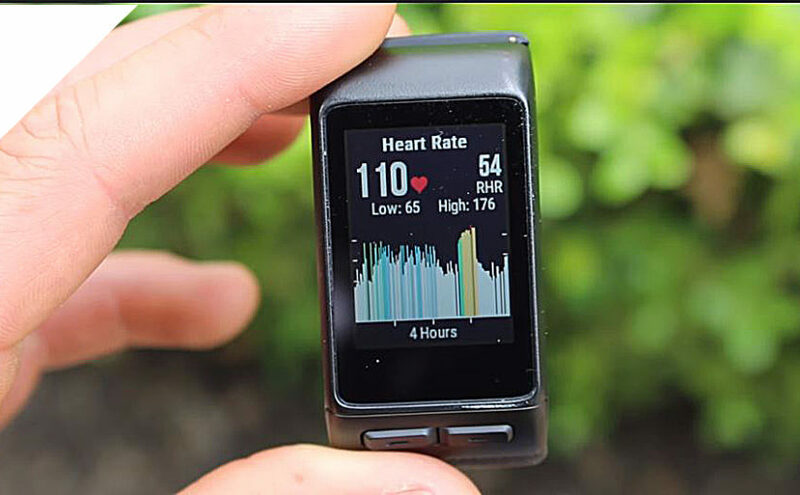 I hope you enjoy this detailed article about Garmin vivoactive HR. if you see that it was helpful make sure to share it with your friends, and follow us on our fan page, which is tictac reviews for more interaction.